You have probably read my other entry regarding Sunshine Slushie & Comedy Manila and it states there that I was there on the 4th of June. Funny how I couldn't get enough of their slushie. I invited Pat to Craft because I wanted her to try the Sunshine Slushie and I also wanted to try the Strawberry Slushie my friend ordered the night before. It stands to reason that it was as good as I expected. More than the slushie, I remember Pat saying, "ang sarap talaga maupo dito" (it really feels good to sit here) more than twice. She said she's been wanting to chill at a place where she could stay for hours but be comfortable. Well, I must agree. For the past years, we've been staying in different milk tea places but I think that is about to change. Besides, since their slushies cost P95, it doesn't really make a big difference compared to ordering an P85 peso milk tea. 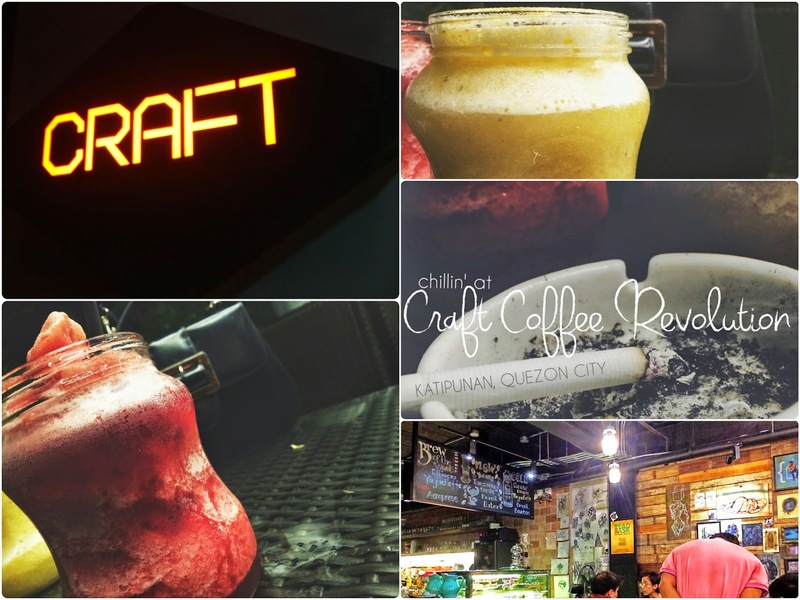 Don't get me wrong, Craft is a coffee place and there are other stuff you could order there. Personally, I'm not just into sweets (cakes, etc) and pasta. I am a coffee person though, and I have yet to try their coffee. 1 comment on "Thoughts: Craft Coffee Revolution"